Model United Nations, also known as MUN, is an educational stimulation and/or academic competition in which students learn about diplomacy, international relations and United Nations (UN). During the conference, students act as delegates of UN, and they use researching abilities such as public speaking, debating, writing skills, critical thinking, teamwork and leadership abilities. The MUN phenomenon started in the United States where simulations were being held even before the birth of the United Nations. Records indicate that as early as the 1920s simulations of the League of Nations, the predecessor to the United Nations, were taking place. The oldest modern simulation (of the UN) is the Harvard Model United Nations, which was established in 1951. This is the procedure that is being used here at BHMUN. The aim of MUN differs from conference to conference, but generally it is to educate participants about the workings of an international organisation such as the UN, to enhance a participants negotiating and oratory skills and to broaden the participants view and knowledge of the world. To preserve world peace, after the Second World War, Franklin Roosevelt established the United Nations. Taking ‘United Nations’ as a model, BHMUN aims to maintain international peace and security by promoting human rights. 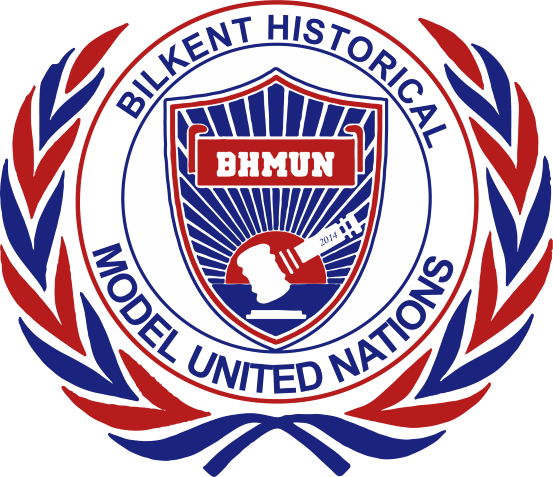 Contrary to other MUN conferences, BHMUN focuses on a wider variety of world issues that have been on media’s headings for both the long and short term. In our twelfth anniversary, we as the organizing team of BHMUN will increase the delegation number and the school participation rate among the world. Delegates and chairs will come from throughout Turkey and across the world, representing diverse perspectives, experiences, backgrounds and cultures. We fully believe that individuals who have experienced or are experiencing conflicts will have more to say; and BHMUN is willing to give them this opportunity. BHMUN, being the first fully historical conference in Turkey, aims to develop the understanding of historical events and focuses on the controversial discussions of the time.